For the occasion of the holidays and the 10 year anniversary of my web site, I have listed many new US WW2 collectibles for sale. 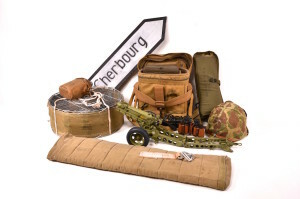 PPN-2 Eureka beacon set, BUPS beacon, M-227 signal lamp, Airborne medic stretcher, A-4 and A-5 aerial delivery containers, a complete pigeon parachuting set, Griswold bag and much more. If you see something you like, send me an e-mail so we can work out the details.